The P60 is an end of year certificate that details the income and tax contributions of an employee for that year. When providing evidence of your employment, income or fiscal residency to an overseas authority you may require the apostille for this document. For ONLY £66 we arrange for your P60 to be solicitor certified and issued with the apostille. It is possible to legalise either the original or a copy of this document. However, we do recommend you check if a copy will be accepted by the organisation asking you to get your document legalised if this is your preference. Please indicate your preference on the order form when sending the document to us. How to order an apostille for your p60? Simply purchase your apostille online and post the original document to us. 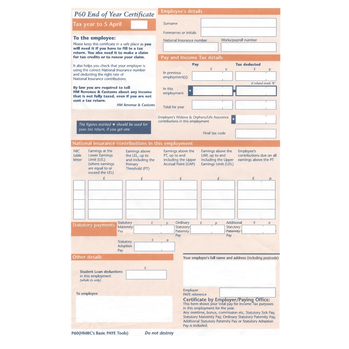 If your P60 has been issued electronically you may be able to email this to us. Please contact us for advice.